SAN ANTONIO - UPDATE: The dogs rescued from a deadly house fire on the city's South Side are now in the care of Animal Care Services. ACS said the owner had an illegal number of dogs at the home and agreed to surrender the animals. The fire killed two dogs at a home near the corner of Southcross Boulevard and New Braunfels Avenue this afternoon. 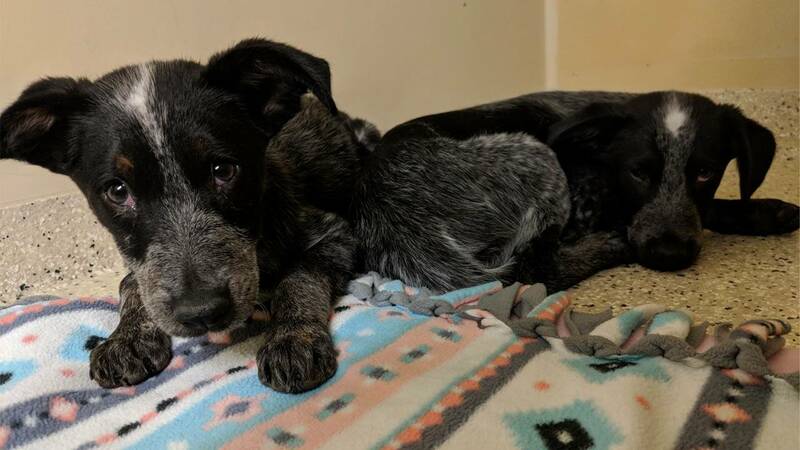 Of the 12 dogs rescued, San Antonio Pets Alive is taking a closer look at three puppies who have tested positive for parvovirus. Two dogs were killed and 12 others were rescued when a house caught fire Wednesday on the city's South Side. San Antonio Fire Department Battalion Chief Connie Hall said firefighters encountered heavy fire and smoke when they arrived around 12 p.m. at the home in the 200 block of Betty Jean Street. In addition to dogs, there were plenty of cats in the home, Hall said. None of them were injured. Firefighters had a hard time corralling the dogs because there were so many of them, Hall said. "Quite a bit of them had smoke inhalation," she said. No one was home at the time of the fire, which appeared to have started in the kitchen due to an electrical problem. Damage to the home is estimated at $60,000.